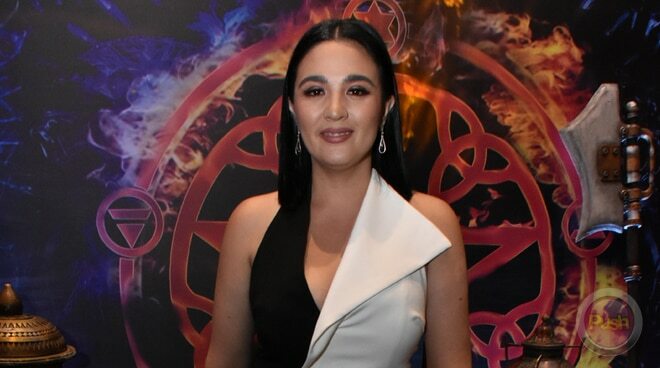 Sunshine Dizon reunites with Karylle, Iza Calzado, and Diana Zubiri in the new digital film ‘Mystified’. After reuniting with former co-stars Karylle, Iza Calzado, Diana Zubiri, and director Mark Reyes, Sunshine Dizon admitted she couldn’t help but get a little emotional during the first shooting day for their iflix film project Mystified. “I cried actually on our first day wearing our costumes because it was very nostalgic for me. It has always been our dream to have our own reunion project. When I finally saw us in costume I was like, ‘Oh my God we’re finally doing it!’ and then everybody started to cry. This is our baby and it’s here finally,” she shared during the iflix Originals presscon. For Sunshine Dizon, the decision to do the project was not easy as she had to weigh her priorities. “You really have to be passionate about something, that you can say that it’s worth it to get out of the house and leave your kids di ba? Kasi ako I have two kids already, Joy (real name of Diana Zubiri) has two kids already. It’s really hard to juggle the time. Nakaka-guilty minsan. Aalis ka ng bahay tulog, pag-uwi mo tulog pa rin yung mga anak mo. But at the end of the day, as long as I can face my children and tell them that I’m very proud of what I did, I will do it. And I think Mystified is something na hanggang pagtanda ko, sasabihin ko sa mga anak ko, ‘Panuorin niyo yan,’” she explained. In Mystified, Sunshine plays the role of a healing witch. “For my character Althea, there’s a part in the movie where she is unsure of what to do next because of a certain situation. Althea is also a doctor and then somewhere along the way she felt like, “What’s the use of my power if I cannot use it for the betterment of other people? I think ultimately the theme of the movie is friendship, yung sisterhood and it’s more of like when these four girls come together and lift each other up, something good will come about,” she said. For their fight scenes, Sunshine said she had to get used to body pains again because it’s been a decade since they last did such an action-packed role. “I think the funniest part was after our first training, I sent them a picture of me full bodied with Salonpas (laughs). I think I’ll just claim that I’m the best actress because I don’t do anything (laughs). Hindi ako ma-sports eh. Kasi nga magaling ako umarte. Dinaan na lang sa galing (laughs),” she said.